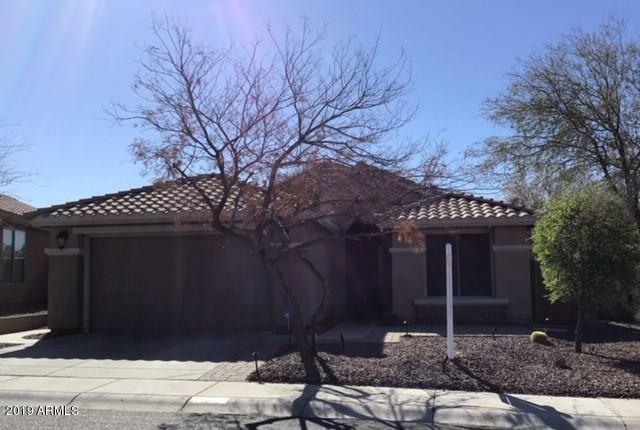 This 3 bedroom, 2 bath Anthem Parkside home is located on a quiet wash lot with view fencing. Over-sized lot provides outstanding outdoor living with pool, fireplace, ramada and BBQ island. From the welcoming great room plan to the amazing backyard with brand new pool decking, you will find custom touches throught. Beautiful tile work in master bath that features separate walk-in shower and tub, double sinks and walk-in closet. Carpeted bedrooms and tile throughout. Desert living made easy in Anthem! New interior paint, granite countertops and stainless appliances. Directions: I-17N Exit Anthem Way E, North on Navigation Way, Right/East on Ericson Ln, Left/North on N Voyage Trl to home on your Right. I would like more information regarding the property at 42861 N VOYAGE Trail, Anthem AZ 85086 - (MLS #5902966).